Collect and combine with other Halo Mega Bloks sets to build your own authentic Halo universe! 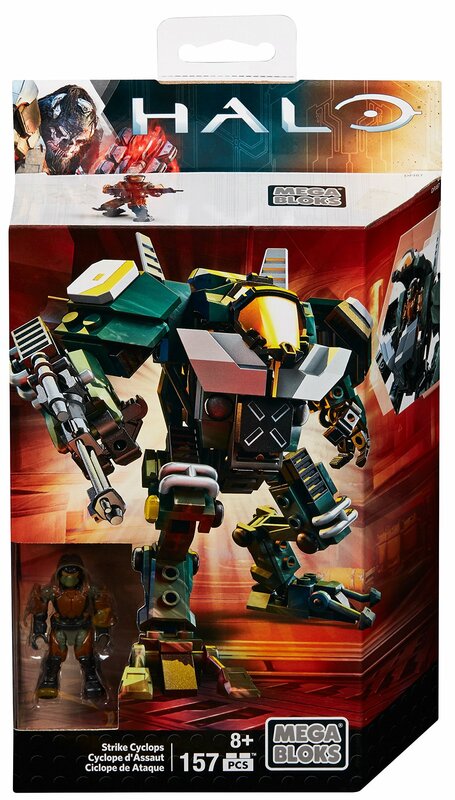 Dominate the battlefield when you build the Strike Cyclops by Halo Mega Bloks!Tasked with supporting UNSC infantry, this buildable mech walker has beenfully weaponized for combat with an arm-mounted Cannon capable of dealingheavy blows to buildings and vehicles. Build the Strike Cyclops, whichfeatures an authentic camo finish and a new taller design. Then, open thecanopy to load a highly detailed, super-pose able UNSC Marine micro actionfigure into the cockpit, and prepare to crush the enemy! Ideal for ages 8 andup.